A redesign of a Good News classic, The Good News of Easter states that the good news is the hope offered to each person through Christ’s death on the cross that first Easter. In the past century, the average life expectancy in the United States has risen by more than 25 years. But despite our phenomenal medical breakthroughs, death is still our greatest enemy, the inescapable last fact of life. But there is hope. The good news of Easter is that there is life after death! Jesus Christ overcame death nearly 2,000 years ago as the Bible states: “Christ died for our sins in accordance with the Scriptures... he was buried... he was raised on the third day…then he appeared to more than five hundred…at one time ” (1 Corinthians 15:3-6). But Christ’s resurrection is more than just historical fact or theological doctrine. It is God’s personal invitation of eternal life to you and me. On the cross of Calvary Jesus Christ suffered and died in our place so that we would not have to face God’s judgment for our sins. And on that first Easter morning He was raised to new life—God’s seal of approval that Christ has paid for our sins in full. That enables those who believe Christ died in their place “to be born again to a living hope through the resurrection of Jesus Christ from the dead” (1 Peter 1:3)! This Easter Jesus Christ offers you salvation and new life. Through faith in Him you can join the countless millions who have believed His promise: “For this is the will of my Father, that everyone who looks on the Son and believes in him should have eternal life, and I will raise him up on the last day” (John 6:40). 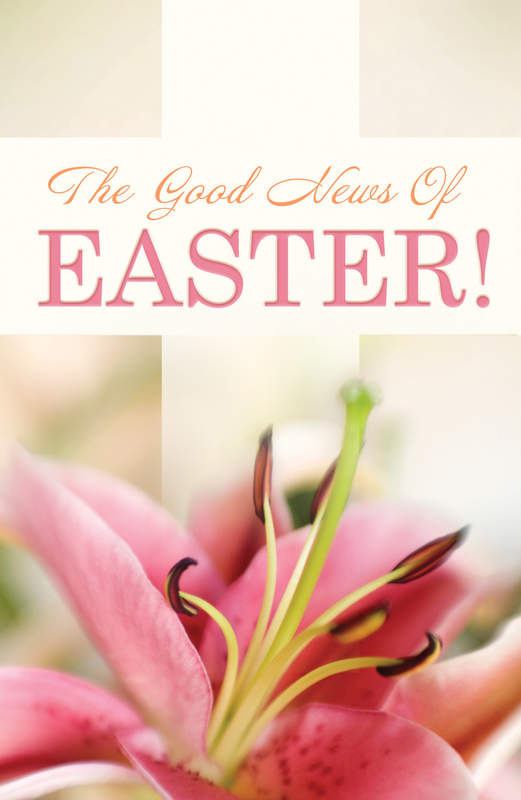 Have you received this good news of Easter? “God has given us eternal life, and this life is in his Son. Whoever has the Son has life; whoever does not have the Son of God does not have life” (1 John 5:11-12). God offers you new life paid for in full by “the precious blood of Christ…. [who] bore our sins in his body on the tree” (1 Peter 1:18, 2:24). Admit to God that you need His forgiveness and salvation. “If you confess with your mouth that Jesus is Lord and believe in your heart that God raised him from the dead, you will be saved” (Romans 10:9). Today you can place your trust in the resurrected Christ and receive salvation—this is certainly good news!